It took a year and a few requests before Chief Harry St. Denis of Wolf Lake First Nation got word from the National Chief of the Assembly of First Nations (AFN) that Perry Bellegarde has done his job–something that wasn’t clear even 2 weeks ago. In fact, the National Chief’s July 2016 letter to officials who were to receive a copy of Resolution #49/2015 goes beyond a mere passing on of the resolution’s content. 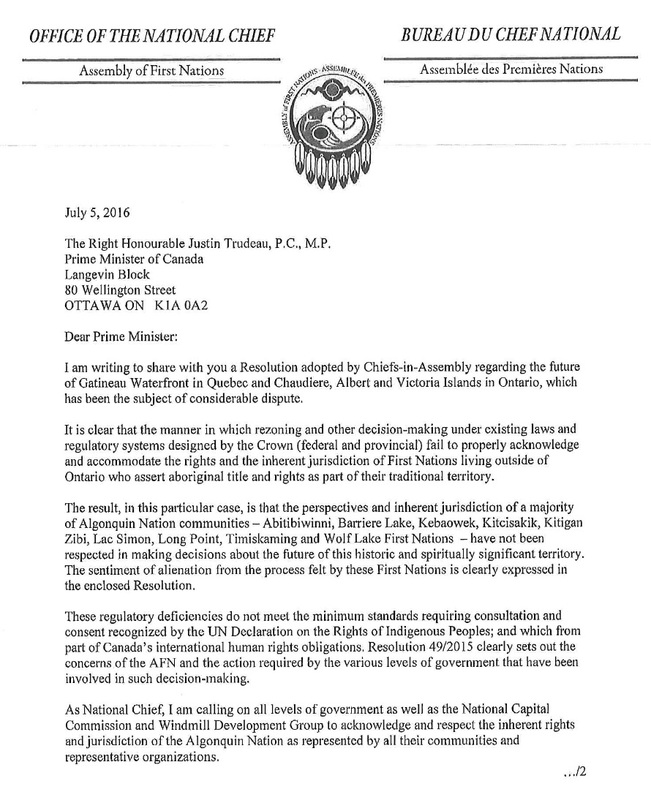 It urges the Prime Minister and other recipients that they need to “respect the rights and jurisdiction of [various Algonquin First Nations] about decision-making regarding [their] traditional territory.” Page 1 of the letter follows. Page 2 of the letter contains a closing paragraph urging the parties involved to discuss the issues raised by the resolution. 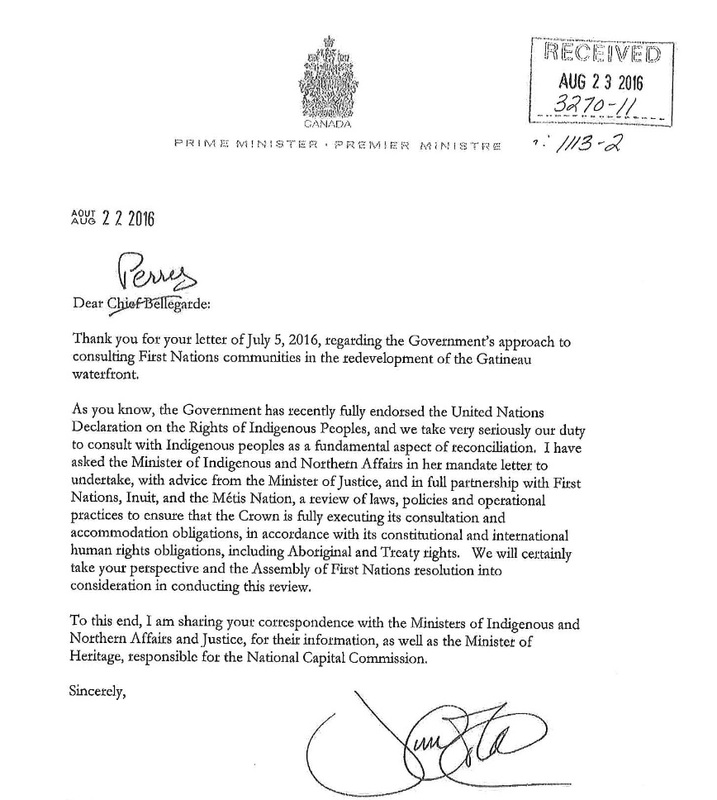 On August 23, National Chief Bellegarde received a reply from Prime Minister Trudeau, as follows. He made that available, too, as part of his response to Chief St. Denis’s Nov. 25 letter. The matter is now at rest.